I’ve climbed a lot of mountains, but I’ve never seen THAT before! Gotta love it! Those flags will be visible for miles! 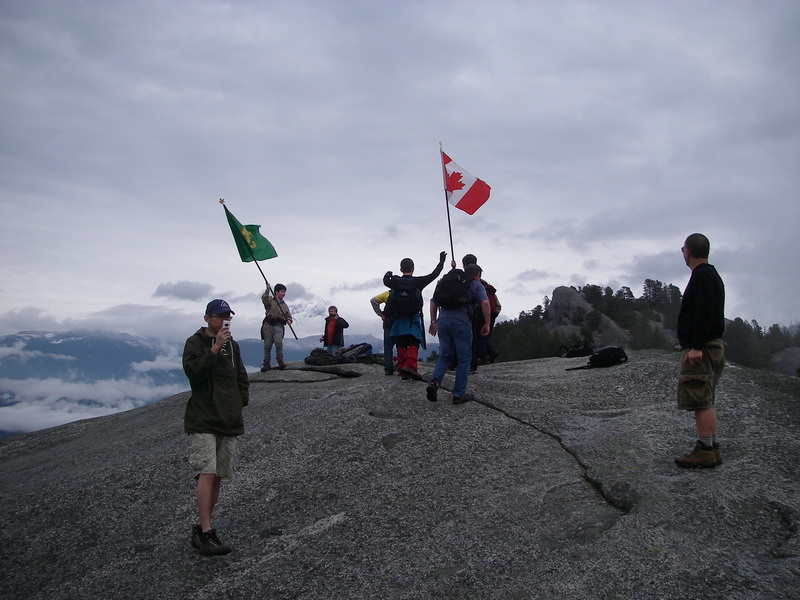 We had other hikers ask to borrow the Canadian flag so they could have their pictures taken with it too. Posted on October 30, 2011. Bookmark the permalink. Leave a comment.